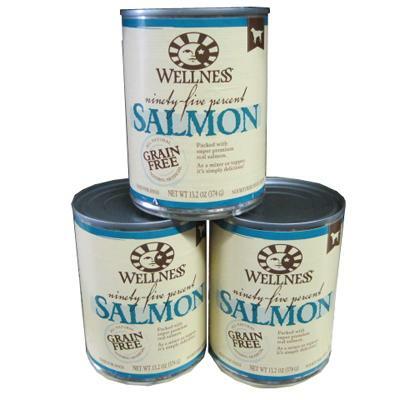 Wellness's Ninety Five Percent line is an excellent way to supplement your dog's current diet with high-quality meats. Liven up your dog's menu today! Natural Ingredients - nothing artificial! Pure, ethoxyquin-free quality salmon is the main ingredient. Designed to enhance your dog's current diet by mixing or topping off. Salmon, Water Sufficient for Processing, Natural Flavors, Cassia Gum, Carrageenan.